Clouded by the events of the NBL's final season, it can be easy to forget its beginnings. 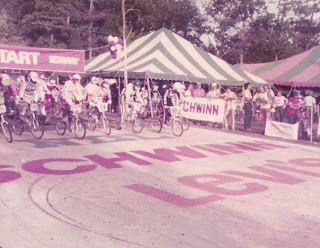 Founded as a non-profit organization in 1974, the National Bicycle League would expand to become the oldest sanctioning body of BMX racing. Offices were first located in Florida, and eventually moved to their final resting place in Gahanna, Ohio. 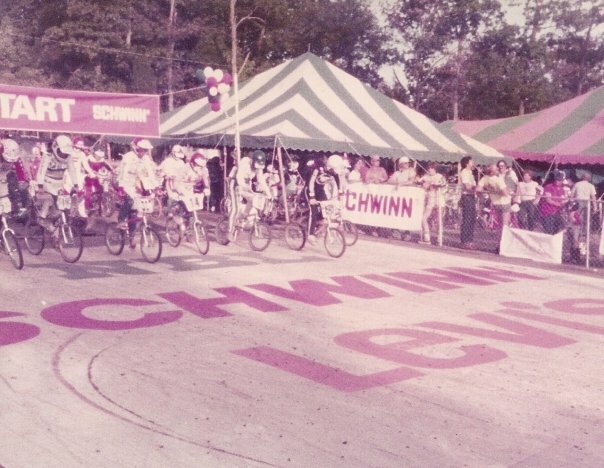 The first national series, the "War of the Stars", began in 1977 with 11 races in 7 predominately eastern states. 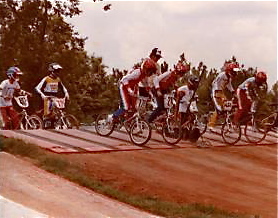 NBL BMX racing grew into the hearts of young riders throughout the '80s. So much that several of those riders are still out on the track today. 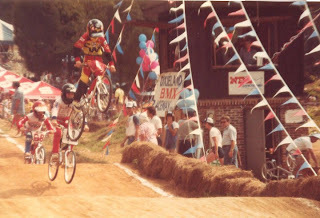 Riders such as Bill Madden, Meredith Lidstone, Christine Gurley and Darin Houston, with rich histories on the track, continue to set positive examples for young riders. 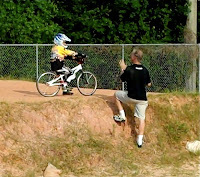 They're the ones who truly know this sport, and have the potential to be excellent coaches. No one can argue that the NBL had a strong beginning with loyal members. In 1977, to document events and share them with the world, the NBL produced the first issue of BMX Today (originally published as Bicycles Today), the monthly magazine that covered all regional and national NBL sanctioned events. 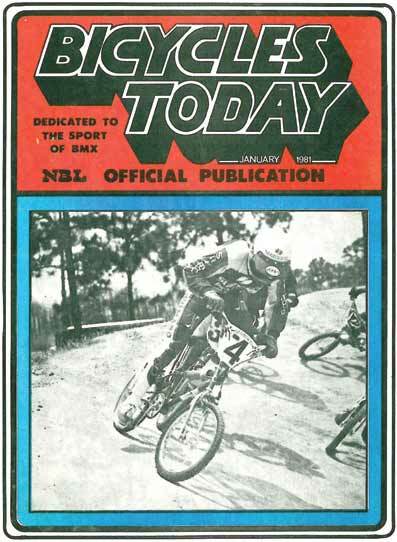 After a 32-year run, publication of BMX Today came to an abrupt halt. It was then that things started to smell fishy. While information had become increasingly available on-line, as well as race reports and photos, there's just something about seeing it all in print, and being able to hold it in your hand, that was suddenly missing. Everyone suspected financial troubles and pondered the future of the sanction, but I'm not sure anyone suspected it would come to a sad end. In the meantime, racing continued, while the NBL awaited a savior. At the 2010 Grands our savior appeared, promising to grow the sanction through a new fee structure. With large turn-outs at early season races, his plan seemed to be working. 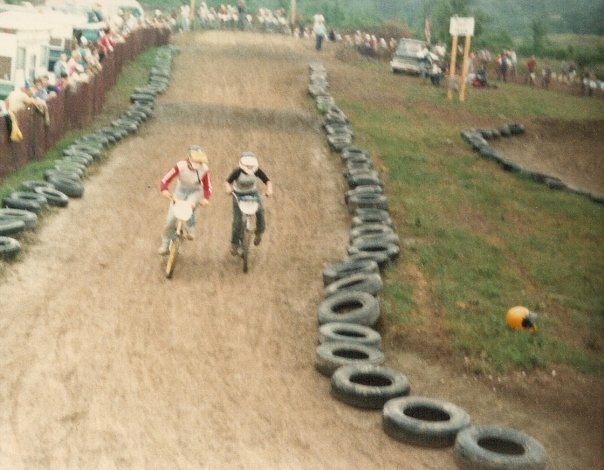 Cruiser and open classes over-flowed because kids could race as much as they wanted at no extra expense. However, by May 2011, the free-for-all was ending, and skeptics could finally say I told you so. The sad thing is we let one man sink our ship. Or did we? When the new fee structure was set, my family took full advantage of the savings, each kid racing two bikes all season long. Had we paid for all of those races, it would have cost us a fortune-- a fortune that could have saved our sanction. Therefore, I hold myself partially responsible for the ultimate demise of the NBL. "... I found it kinda strange that there would be two different sanctions for a sport this size but really didn't give it much mind. As the years went on I became more and more involved in teams and had a chance to really see the inner workings of what the sanctions really do and the differences in their business styles. It tickled me to see how riled up some people got defending one sanction over the other and my stance on it was 'Who cares? 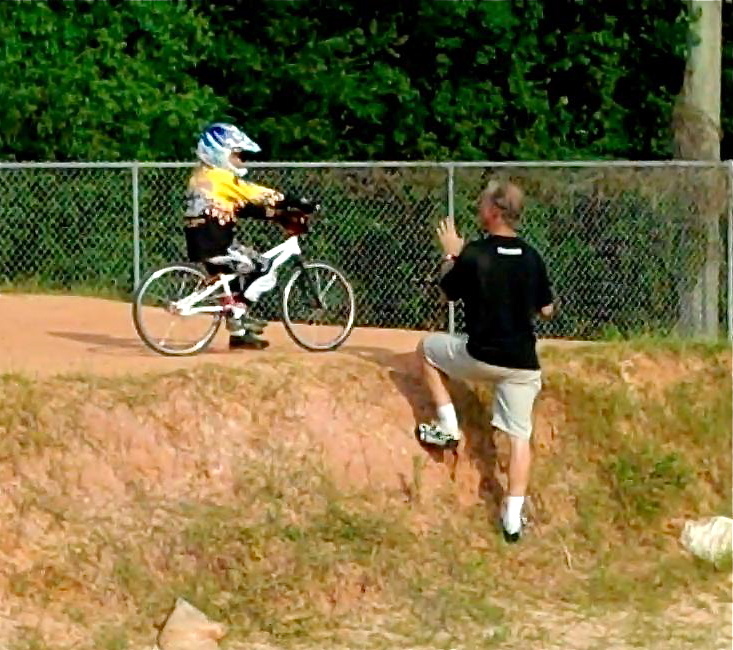 It's just BMX'! I never waved a flag for either side nor did I throw myself in front of a moving train in defense of one over the other. 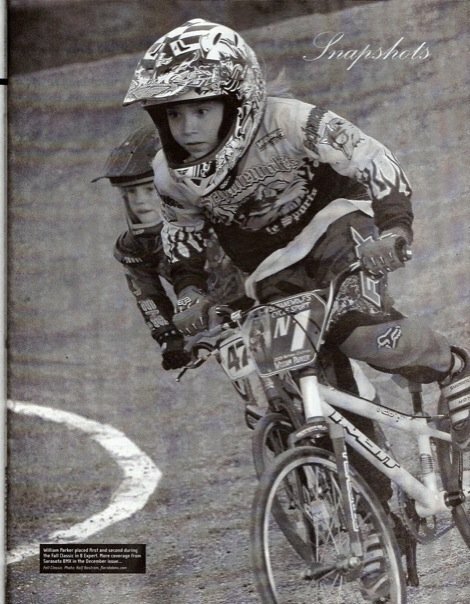 NBL was in my backyard and that was the single reason we rode in the NBL. My position was that I was the consumer and as a consumer why would I wave flags or shout from the highest mountain that the product that I buy is the best product in the world and could do no wrong. I like Pepsi but I'm not going to stand on any street corner shouting out their praises. The only result of doing something like that is you will create a monster that senses they could do no wrong, nor do they have to continue to win you over as a consumer." Under the guise of USABMX, the NBL has been "bailed out" by the American Bicycle Association. It's not really a bail-out though, but a take-over. Labor Day weekend the NBL will say goodbye after 37 years. 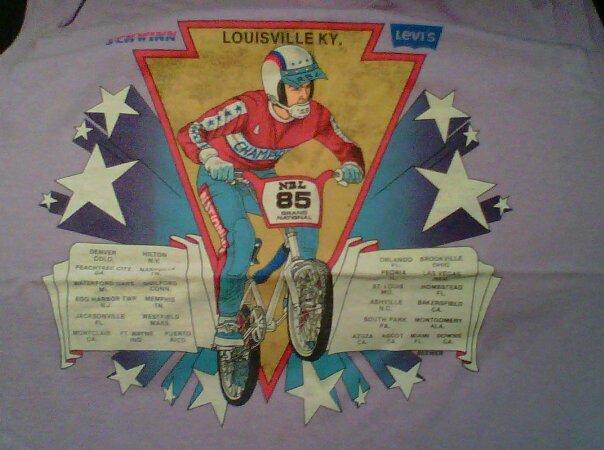 Our final Grands in Louisville, Kentucky will mark the end of long-standing NBL BMX traditions. 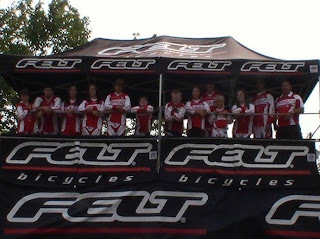 taken after winning 8x and 8c in 2009. 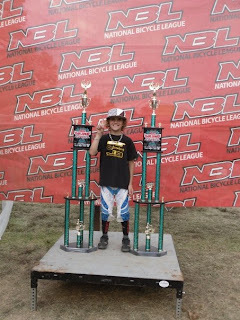 "...The final NBL Grands or should I say the final USABMX/ABA Grands... I was hoping they would allow us to finish it out with all the traditions that came from 30 years of NBL racing, but just like any big corporation taking over a smaller company they decided instead to showcase this as their introduction to all the NBL families instead. USABMX/ABA will put their stamp on this Grands good or bad and make sure everyone knows who's the boss. There will be no more scaffolds dotting the front straight. Instead they decided to bring in their sponsored rigs and advertisers. 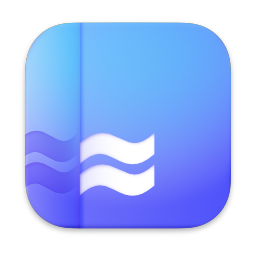 For a first timer this will look very professional and neat. But for all the teams who gave their blood, sweat and money into the NBL season this will only come across as a shun." "All the kids get excited when they join the team to hang up there!! There will be no scaffolding for us this year. A hard-earned rite of passage that new factory riders look forward to. 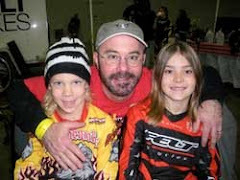 All of us who have been devoted to the NBL were hoping we would be allowed a last hurrah at the NBL Grands, but it seems that there won't be much semblance of the organization that was once a thriving leader in BMX racing. While there is some sadness to this, racing will continue as always, under the new flag of USABMX. I would like to forget the NBL as it has been over this past year, and instead remember the NBL as it was in its glory days. I'll be adding interesting photos as I stumble across them. 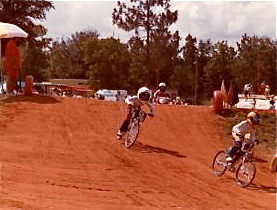 Darin Houston contributed these two photos from a long ago race in Milton, FL. This track had two gates, and switched directions each day. Great Lincoln quote. So many mixed emotions; excitement, sadness, apprehention. I guess it's like your child's first steps when you see the first sign of their independence as well as the beginning of the end of them being a baby. From one WW to another, wonderful read!